The exhibition is a rare look at the works of pioneering artist Edgar Degas – one of the leading lights of the 19th-century art scene. Degas is best known for his enchanting paintings of ballet dancers on and off the stage. But little is widely known about the enigmatic artist’s life and personality. Featuring over fifty original works by Degas, The Lightner Museum’s special exhibition of Edgar Degas: The Private Impressionist offers unique insights into Degas’ inner world and the opportunity to see rarely exhibited works from the private collection of curator Robert Flynn Johnson. 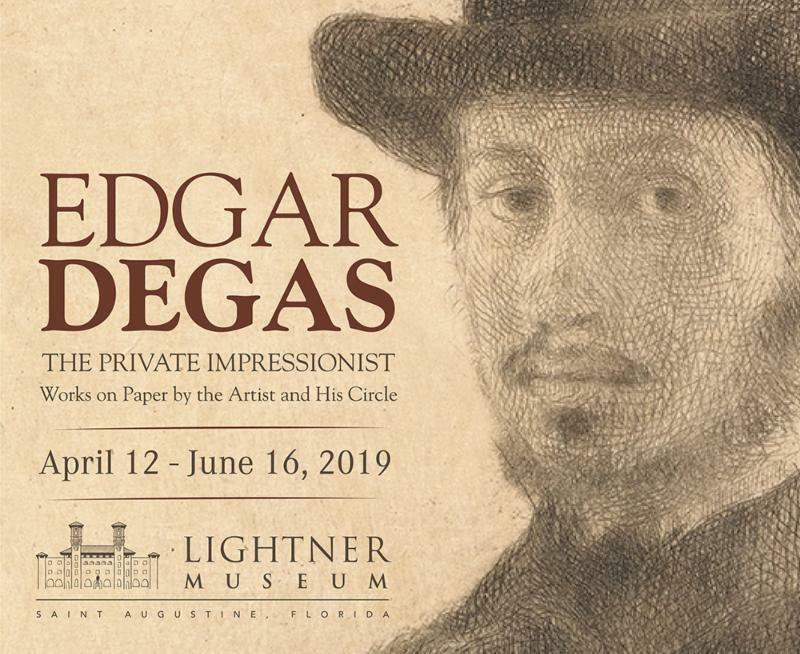 Our limited-engagement showing of Edgar Degas: The Private Impressionist is free for museum members or for $5 above the price of museum admission.